Twee generaties topmuzikanten uit verschillende muzikale werelden met een schat aan muzikale achtergronden en inspiraties. Fuse kent u ongetwijfeld als het huisensemble van het tv-programma Podium Witteman. De musici maken een eigenwijze mix van klassiek, jazz en improvisatie. Voor het album ‘Studio’ werd de groep in 2017 genomineerd voor de Edison Klassiek Publieksprijs. Het prestigieuze Jazz Orchestra of the Concertgebouw bestaat uit zeventien jazzmusici van wereldklasse, met zowel (inter-)nationale topsolisten als jong Nederlands talent. Het presenteert een ongekend breed repertoire: van traditionele jazz tot hedendaagse muziek en soul. Ingrediënten te over dus voor een spannend programma, met werk van uiteenlopende componisten als Béla Bartók, Eddie Sauter en Chick Corea. A meeting between two Dutch supergroups. Two generations of fantastic musicians from different musical worlds with a treasure trove of musical backgrounds and inspirations. Doubtlessly you’ll know Fuse as the houseband of Podium Witteman. The musicians created a freethinking mix of classic, jazz and improvisation. In 2017, the group was nominated for the Edison Classic Audience Award for their album ‘Studio’. 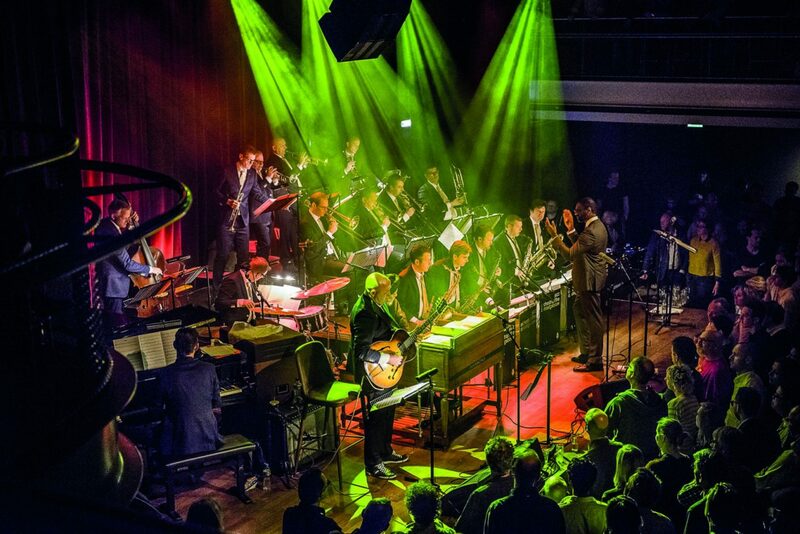 The prestigious Jazz Orchestra of the Concert Building consists of seventeen world-class jazz musicians, with both renowned (inter)national soloists as well as young Dutch talent. It will present an incredibly broad repertoire: from traditional jazz to contemporary music and soul. Plenty of ingredients for an exciting program, with works by a wide variety of composers such as Béla Bartók, Eddie Sauter and Chick Corea.